1. 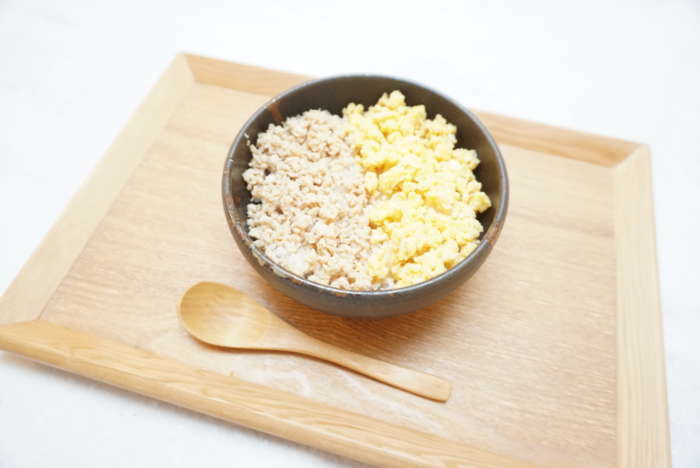 Mix (A) into the beaten eggs and pour it in a frying pan. 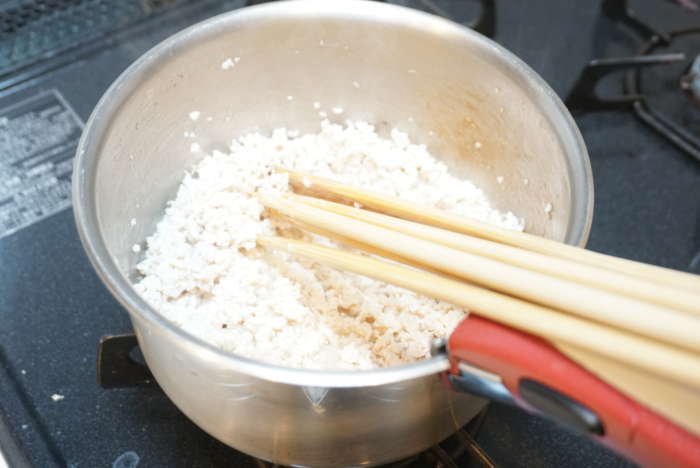 Stir quickly with using 3 cooking chop-sticks until the mix is well scrambled and heated through. 2. Put the meat and (B) in a frying pan and heat while mixing. 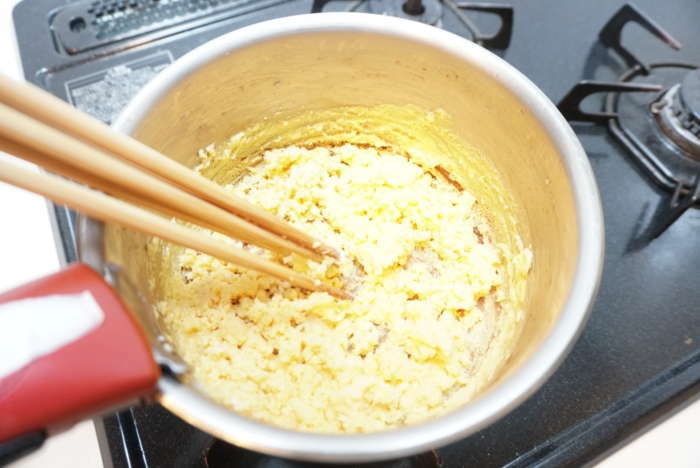 Cook with 3 large chopsticks until the mix is well scrambled and heated through. 3. 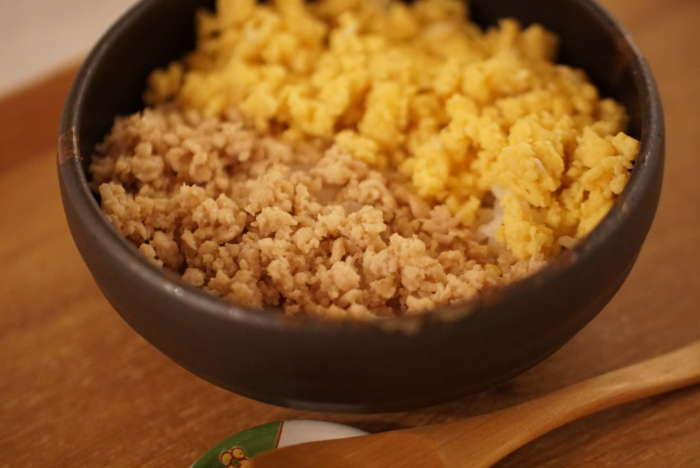 Spread 1 and 2 on top of the rice.